The Peter and Doreen Howe Memorial Award was established in 2018 by the Howe family to honour Doreen and Peter’s legacy of contribution to science and math education and their service to the community. The award is granted each year to a second-year or above Queen's University student in Science, Technology, Engineering or Math (STEM) disciplines based on both academic merit and financial need. Preference is given to female candidates. 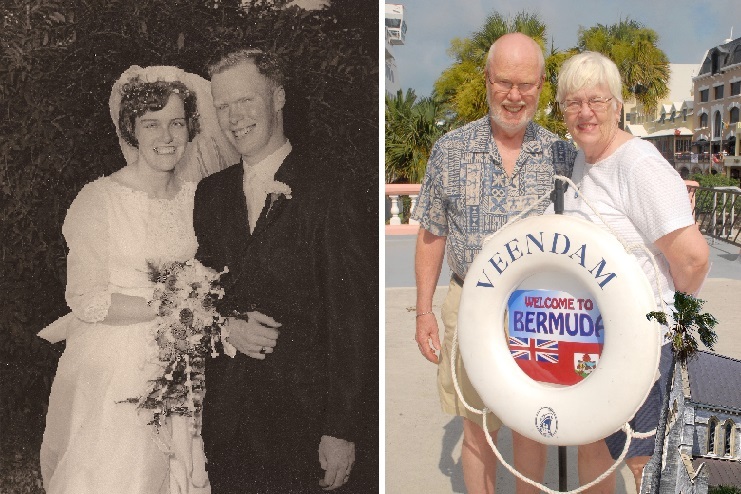 Peter Howe (Arts and Science ’61) and Doreen Hunt (Arts and Science ’62) met at Queen's University in 1959 and married after graduation, raising a family in Trenton, Ontario and ultimately celebrating more than 50 years together. Both became educators in STEM fields, Doreen as a math teacher at Trenton High School, and later Belleville Collegiate Vocational Institute and Quinte Secondary School; Peter a chemistry teacher and track and field and cross country coach for over 30 years at Trenton High. Active in their community through the Rotary Club of Trenton and King Street United Church, Doreen and Peter never hesitated to help those in need. Please make your gift to the Peter and Doreen Howe Memorial Award to honour the lives and legacy of these two proud members of the Queen’s University community.